First poach: Marissa Mayer brings over Google PR’s Anne Espiritu to Yahoo! According to AllThingsD, brand new Yahoo! CEO Marissa Mayer has made her first official “Google poach” by bringing over Consumer Tech PR member Anne Espiritu. Her official title was “Global Communications and Public Affairs Manager”, according to LinkedIn. Espiritu spent nearly seven years at Google, so this is a pretty big change. The two have worked together for quite some time at Google, so it makes complete sense that Mayer would bring in Espiritu to help turn Yahoo! PR into a fine-oiled machine. Naturally, this will not be the last hire of a Googler for Mayer, and it will be interesting to watch the team that she builds around her at the purple giant. 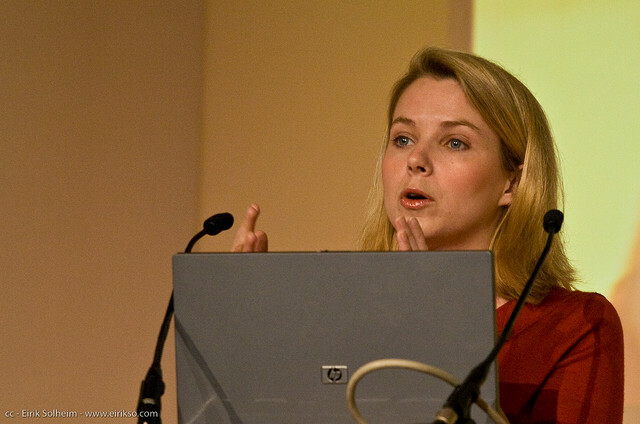 As Mayer gets her executive and public relations hires in order, it will be interesting to see how much engineering talent Yahoo! can crib from her former company.